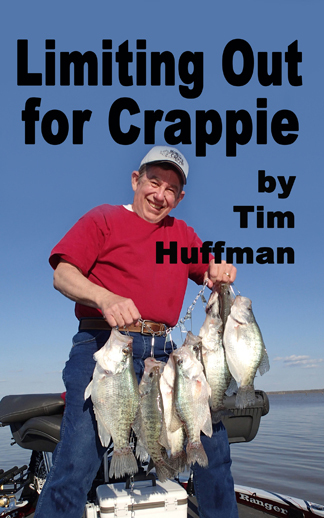 A stump flat can be an outstanding place to find crappie. Finding balls of shad within the stumps is a great one-two combination. Stumps are friends of a crappie fisherman. However, learning which stumps are being used by the fish can be tricky. What’s a stump? In general, it’s the remaining root system and short portion of a tree trunk. The tree may have been cut before the lake was built, rotted off or broken by ice or wind. A stump may be one foot tall or ten feet tall. To add a little confusion, a fisherman may mention stumps but be including laydown timber, snags or other wood. There is no reason to get picky about the definition of a stump. The key is to know they are great seasonal structures for crappie and may have associated wood mixed in. Arriving at a new lake filled with stumps can be intimidating. Lake Conway, Truman Lake, Lake Fork and Reelfoot are a few examples. Thousands of visible stumps, and more are invisible under the water, makes it difficult to choose and have confidence in a randomly chosen area. There are no absolutes, but the following are a few guidelines passed along to me from fishing experts. (1) No matter where you fish, it’s important to form a pattern. What depth was the bottom? What depth was the fish? Which type stump did the fish prefer? Was it on the sunny or shady side? 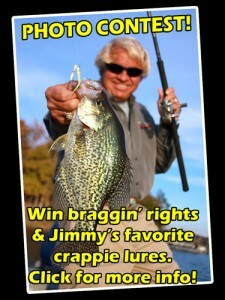 Each fish caught is an important link to other crappie. A fisherman should pay attention to all the details of the catch. Duplicating the presentation is critical for catching the most fish possible. (2) Fish the right depth for the season and fish movement. That could be three, eight or 25 feet. 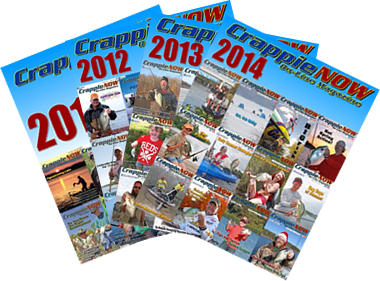 Crappie determine the depth, not the fisherman, so adjust to the fish. Summer fishing variables in stumps depends upon the lake or river situation and water clarity. (3) Look for stumps on a drop-off. Any quick contour change is a potential spot for crappie. A number of stumps verses a single stump is an advantage for numbers of fish, but the single stump may have a slab on it. A hard bottom on the drop can be an important factor, too, and can be seen on sonar. (4) Determine the right type of stump. It may be something specific like cypress stumps. It could be the darker stumps. Maybe large stumps verses smaller? Everything can make a big difference. (5) Stumps with baitfish in the area means it’s likely crappie will be around feeding on them. Finding, marking and studying stumps during low water is a great way to get better insight to what you’re fishing when the water comes up over the stumps. Jigging is always a fun way to catch crappie. Today’s jigging is simply high-tech cane pole fishing. It’s not a cane pole, heavy nylon line, sinker and minnow hook. Instead it’s a sensitive graphite pole, quality monofilimant or braided line, and the bait. Bait can be a minnow on a hook under a split-shot, and a float is optional. A jig is the preferred bait because it’s easier to present in cover and minnows don’t have to be bought and cared for during the heat. The pole is very sensitive so the lightest bites can be felt and seen. Line is small diameter and strong. The braid is non-stretch so it adds sensitivity and allows fish to be swung into the boat without a net. 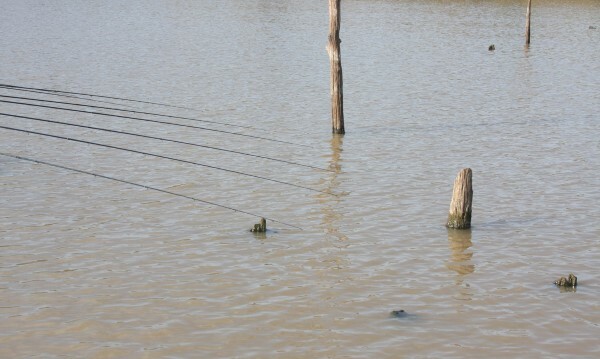 It’s still cane pole fishing but with lightweight, sensitive and effective tools. Jigging actions will vary from no action at all to several tiny hops followed by a pause. The bait can draw a strike while falling, or, when slowly pulled up. The bait can be made to swim around. Whether fishing a jig or a minnow, less action is usually better than more. Spider rigging can be fantastic in scattered stumps. However, thick stumps can be a challenge. Pole numbers can be adjusted based upon the type area being fished. Double-hook minnow rigs are always a good option, especially in hot water. Jig-minnow combinations are also good. When cover is thick, consider fishing one bait per pole to reduce hang-ups. Movements are slow and deliberate in the stumps. It’s important to watch for light bites, line movement due to a stump and other telltale signs that something is happening with a bait. Pitching is another technique that can be fun and productive. Shallow water is an ideal time to pitch. Deeper water with a slip-float and jig or minnow can be good, too, but is more work. Pitching is often a matter of a fisherman doing what he or she enjoys. Seeing a float disappear is fun no matter how old a fisherman gets. Pitching a slip-float minnow rig should include a 7- to 10-foot pole, 8-pound test line, a jig, or a split-shot and minnow. The bait should be pitched just past the cover and allowed to settle. If no bite, work it back slowly a couple of feet and stop. Repeat. When being brought past a stump, be sure to stop it at the stump and give fish time to see and bite. Jigging is a fun way to catch fish from stumps, but some situations allow spider rigging increasing your odds by having more baits in the water. Visible cover is easy to fish and usually productive. Don’t pass it up just because you think others may have fished it. You will likely have a different bait and presentation. Submerged stumps are often the most productive. First, they are not fished as hard in late summer as visible stumps. Second, there will be more submerged stumps than visible in mid-depth and deeper water. 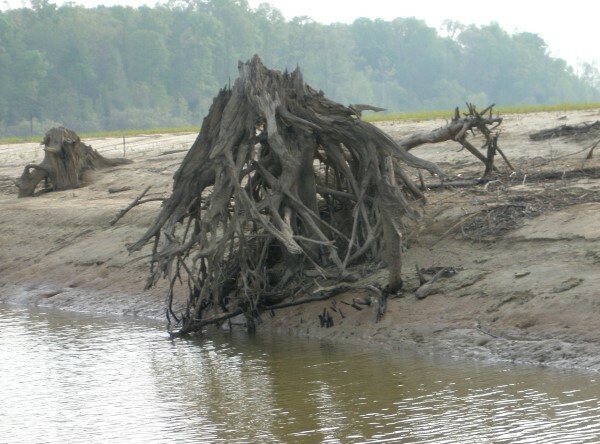 Spider rigging can be an excellent technique when submerged stumps are a result of logging so they are at a consistent height. Baits can be kept over the top of most stumps and worked around others. Jigging is best tactic if the are has thick, visible stumps. Experts say that late summer stumps means figuring out the pattern and repeat, repeat, repeat. Late summer means “thermocline” on many lakes. You can see it on your sonar. It’s easy where there is a thermocline because fish will typically be just above it in what many call the sweet water. Sunshine: In the summer, it means the fish will be tight to cover. 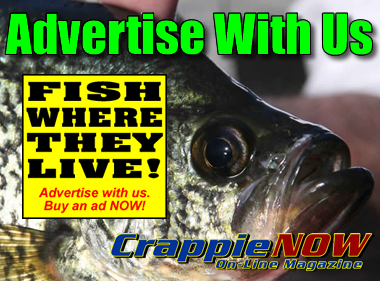 Crappie will get in the shade to protect their eyes, or hide in ambush. It’s easier to pattern the fish. Clouds/Rain: Fishing can be good in the summer when there is cloud cover, but fish may scatter a away from the stumps making them more difficult to target. Fishing Pressure: The best spots on a lake will likely have some fishing pressure, especially as the weather starts to cool in late summer and early fall. There will be fewer places to fish as fishing pressure increases. I’ve seen over 15 boats on one row of hedge trees at Truman Lake. Each lake is different with some having ample stumps/cover while others have less, and varying degrees of fishing pressure. Boating Pressure: Water skier and jet ski numbers decrease as the number of visible stumps increase. Stumps can cause navigation problems for a fisherman, but it reduces annoying pleasure boats. Pleasure boating decreases after Labor Day. Cold Front: Not a major problem in late summer, but any strong front will change the fish mood. Thermocline: A vertical layer where water temperatures make a marked change. Water pH and oxygen levels change, too. Active fish will always be above the thermocline. Summer can be tough fishing, but finding the right seasonal structure makes a difference. A good group of stumps can be a great choice.